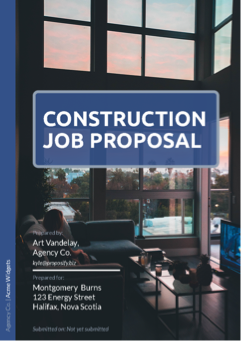 If you’re a roofing business and contractors, this free business proposal provides an example of how to format a professional roofing proposal. 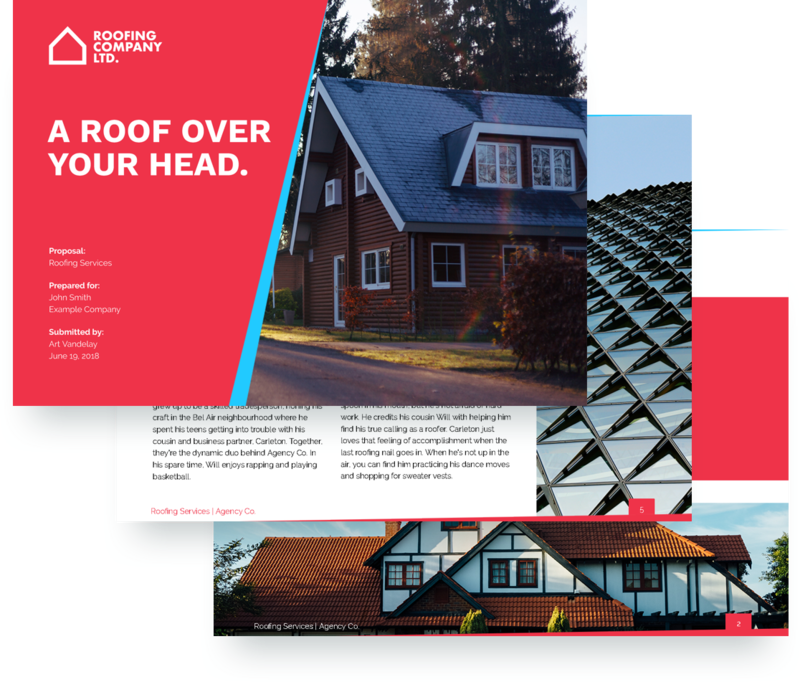 Whether it’s commercial or residential roofing services, this template includes sections where you can feature the job description, your company’s experience, a portfolio of recent projects, a fee table, and a project schedule. 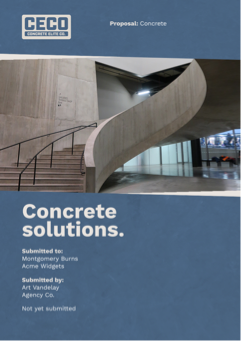 This concrete proposal sample will help concrete companies and contractors prepare job estimates.